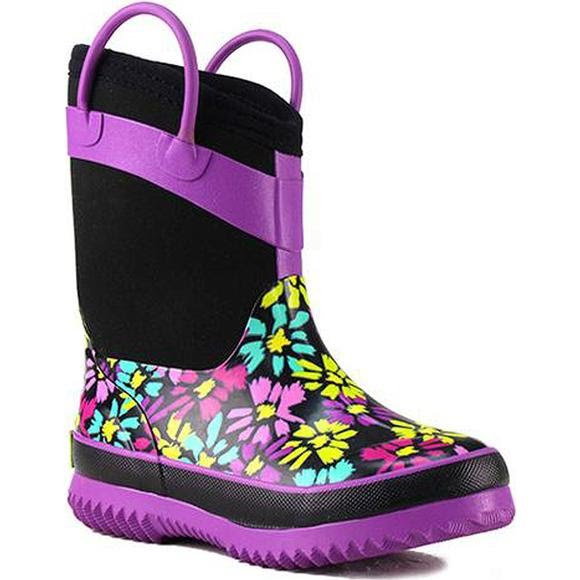 Stay dry in cold showers and snow with these warm waterproof Western Chief neoprene boots. Easy pull handle and in a flower daisy print. Boots come in dual sizing and run big. For example, a size 9/10 is marked and fits like a size 10.